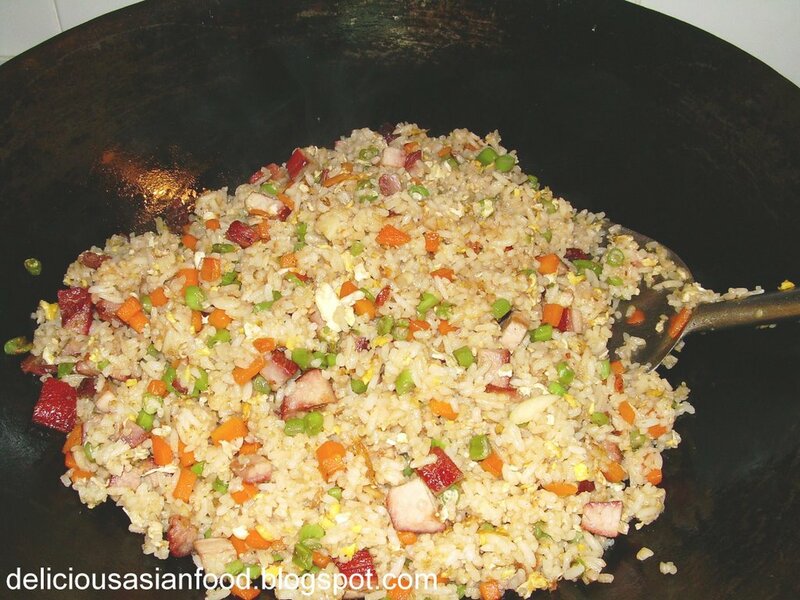 I call my Char Siew Fried Rice : Yang Zhou Chow Fun! I don’t add french beans or carrots, but use bacon (cut into small pieces) and some of its oil of course. I also add spring onion for the color. Of course, like you say, the ingredients for Fried Rice is only limited by the chefâ€™s imagination. 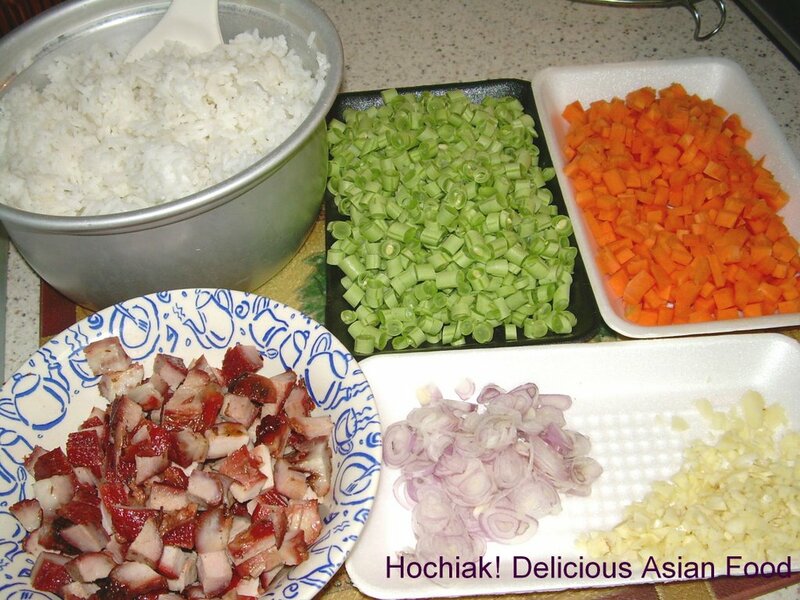 simcooks : I like fried rice with ham as well. Nice!